Mendoza is one of my favorite places in Argentina, and it's obvious why. I love wine. On two separate trips I've spent a total of 8 days wine tasting in Mendoza. That's why this time around, I decided to spend a night in the mountains to try something new. When I found the small town of Potrerillos located in the foothills of the Andes, I knew it was exactly what I needed. We were there for only one night and during our short trip, we went on a horseback ride and white water rafting. The old Ruta 89 connecting the Uco Valley and Potrerillos is a beautiful road trip. We rented a car for our trip to Mendoza. 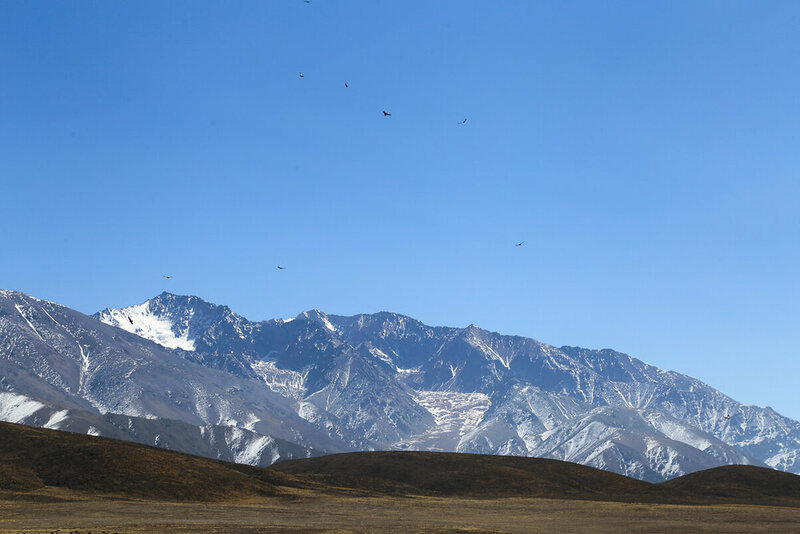 If you're planning to do your own Mendoza road trip, I recommend visiting the Uco Valley first, then driving up to Potrerillos from there. The old Route 89 from the Uco Valley to Potrerillos is stunning (check out the view as we approached the Andes above). Check rates for rental cars for your trip now. If you're not planning on having your own vehicle, don't worry. 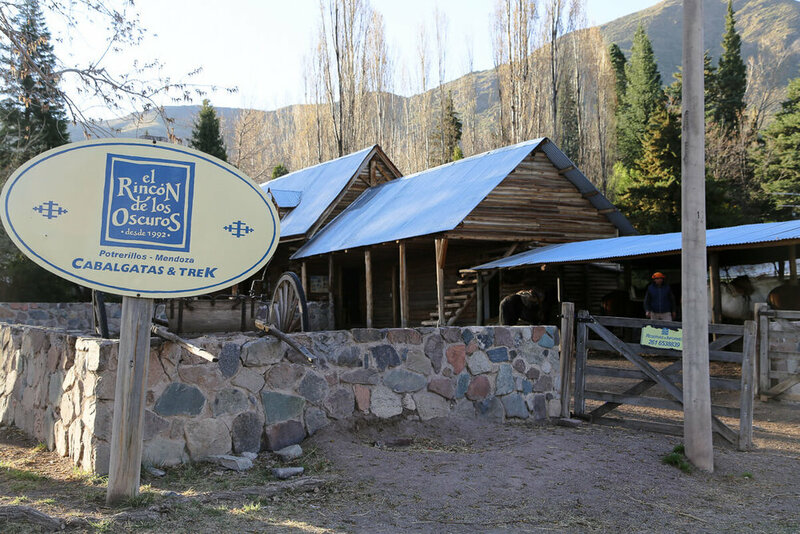 Potrerillos is only an hour from the city center of Mendoza and most activities include hotel pickups and transfers. Potrerillos Explorer invited us on a white water rafting tour with them and we really enjoyed it! While you're with them for two hours (including prep time, changing and driving to the river), we were actually in the water for an hour of that time. If you want more time, they have full day excursions too. 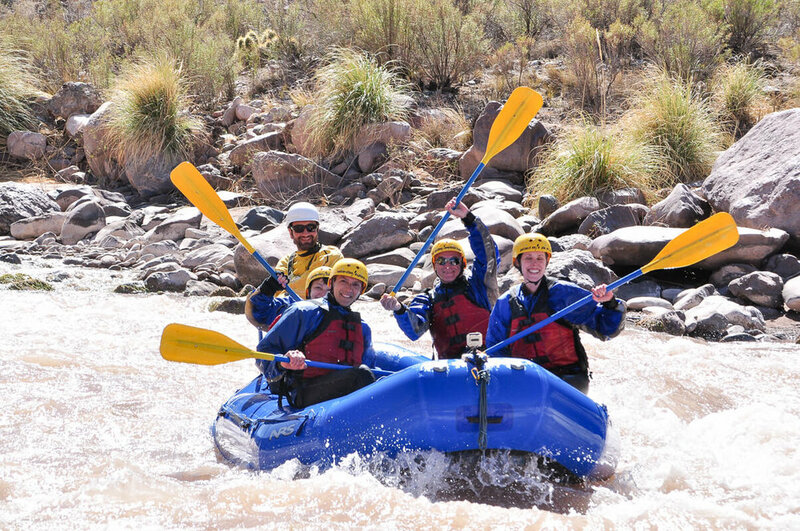 You'll be rafting on the Mendoza River and the experience you have will be determined by the time of year you visit. The water is fed by ice melt from the Andes so naturally, the water is higher and the rapids more intense in summer than when we visited at the end of winter. The rapids were mild when we visited, which was FINE BY ME. We were even able to relax and enjoy the views between rapids. When we visited (beginning of September) the rapids were class 1 and 2. In the summer months, they can reach level 4 and it will be a much more adventurous experience! Potrerillos Explorer provided us with neoprene wet suits and boots, helmets, wool sweaters, and life jackets. You'll change at their base in Potrerillos before they drive you to the actual launch point at the river. They give you a locker to leave your clothes and belongings while you're out rafting. Since they provide everything you need, you really don't need to bring anything special with you! I brought my GoPro but stupidly forgot to bring the case and mount to be able to use it on my helmet. If you'd like to use your GoPro they do have a few helmets set up to mount them for you. Otherwise, you don't need to worry about taking your own photos or video. They set their own GoPro up at the front of the raft to get action videos of you going through the rapids. They also have an official photographer that follows alongside and takes pictures at certain points along the way. You can purchase the video and photos from them at the end of the trip. All of the rafting photos I've included here that have people in them were taken by Potrerillos Explorer. The people at Potrerillos Explorer really took care that everyone was safe at all times. We were briefed beforehand about what to do if we fell out of the raft and I felt really prepared (although it never happened and I think it rarely does!). They also have someone in a kayak that goes along the rafts as auxiliary support to help you get out of the water should you fall in and drift too far from the raft. If you'd like to try white water rafting in Mendoza, check out the Poterillos Explorer website here to make a reservation. They speak English and also offer a lot of activities besides rafting. They offer guided hikes, mountain biking, canopy zip-lining and more. Follow them on Instagram and Facebook as well. 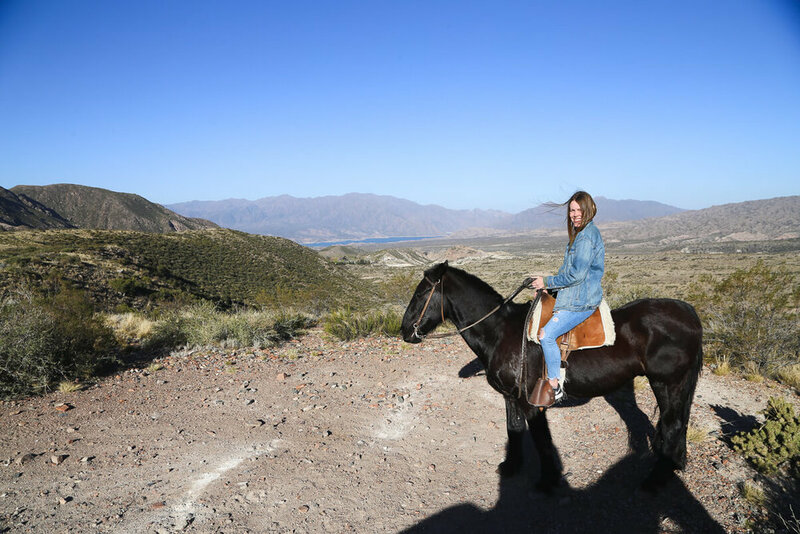 Besides wine tasting, the thing I wanted to do most in Mendoza was horseback riding. I grew up with a horse and have always had unrequited dreams of being a cowgirl (spoiler alert: I ended up a reluctant city girl). When El Rincon de Los Oscuros agreed to take us on a guided horseback ride (or in Spanish, a cabalgata), I was thrilled. We went on their shorter hour and fifteen-minute ride, but I'd recommend going on at least the half-day trip with them because I'd have liked a little more time. The views were just so beautiful! I wasn't ready to go back in. They offer a variety of tours (one even includes a traditional lunch), check their offerings and rates here. Our ride started at their adorable log cabin in El Salto in Potrerillos. We met our guide and rode the short way through town to the ranch and trail itself. The views of the valley and reservoir of Potrerillos to one side and the peaks of the Andes to the other are breathtaking. It was exactly the disconnect from the Buenos Aires city life that I needed. 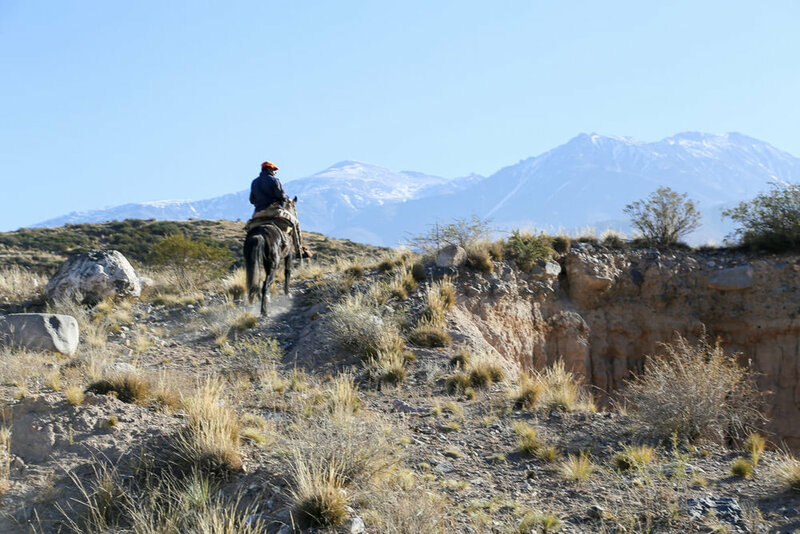 I loved our experiences horseback riding and rafting in Mendoza, but if we had had more time I would have loved to go on some hikes or guided treks. There are also guided mountain biking adventures, zip-lining and guided tours higher into the Andes. Check out some of the most popular options below.